Polyethylene bags of different permeability were tested to extend the life of tomatoes (Lycopersicon esculentum) under ambient conditions. Tomato fruits at Breaker stage of ripening were packed in low density polyethylene bags (thickness 0.0046 mm) with four different types of perforation, i.e. without pinholes, bag with 10, 15 and 20 pinholes. All bags were stored for 21 days at 28ºC and 74% relative humidity. Fruits were evaluated for changes in colour, physical appearance, firmness and weight loss. Soluble solids content was determined at the end of storage. All unwrapped tomato fruits were red ripe 6 days after storage and after 21 days of storage fruits were soft, appeared deep red, shriveled and dusty. Fruits sealed in bags delayed red colour development, appeared glossy after 21 days of storage. Fruits sealed in polyethylene bags were significantly (p<0.05) firmer and had low weight loss than fruits stored unwrapped. Fruits sealed within polyethylene bag with 20 pinholes had the highest soluble solids content after 21 days. This study shows that storage of tomatoes in polyethylene bag under ambient condition is a promising alternative to refrigeration to reduce wastage and consequently increase the marketable life of harvested tomatoes in tropical countries. Bhowmik, S. R. and Pan, J. C. (1992). Shelf life of mature green tomatoes stored in controlled atmosphere and high humidity. Journal of Food Science 57, 948-953. Buescher, R. W. (1979). Influence of carbon dioxide on postharvest ripening and deterioration of tomatoes. Journal American Society for Horticultural Science 104, 545-547. Cantwell, M. (2013). Ripening Tomatoes In “Fruit Ripening and Retail Handling Workshop”. University of California Davis, March 18-19, 2013. Day, B. P. F. (1993). Fruits and vegetables In “Principle and Applications of Modified Atmosphere Packaging of Foods” (R.T. Parry, ed), pp 114-133. Blackie Academic and Professional. Garner, D., Crisosto, C. H., Wiley, P. and Crisosto, G. M. (2003). Establishing a quality control system. http://kare.ucanr.edu/files/123833.pdf [December 10, 2015]. Javanmardi, J. and Kubota, C. (2006). Variation of lycopene, antioxidant activity, total soluble solids and weight loss of tomato during postharvest storage. Postharvest Biology and Technology 41, 151-155. Kader, A. A. (1986). Biological and physiological basis for effects of controlled and modified atmospheres on fruits and vegetables. Food Technology 1, 99-100. Kays, S. J. (1991). “Postharvest Physiology of Perishable Plant Products”. 532 p. Van Nostrand Reinhold. New York. Mathooko, F. M. (2003). A comparison of modified atmosphere packaging under ambient conditions and low temperatures storage on quality of tomato fruit. African Journal of Food, Agriculture, Nutrition and Development 3, 20-27. Nakhasi, S., Schlimme, D. and Solomos, T. (1991). Storage potential of tomatoes harvested at the Breaker stage using modified atmosphere packaging. Journal of Food Science 56, 55-59. Themmen, A. P. N., Tucker, G. A., and Grierson, D. (1982). Degradation of isolated tomato cell walls by purified polygalacturonase in vitro. Plant Physiology 69, 122-124. Thorne, S. and Alvarez, J. S. S. (1982). The effect of irregular storage temperatures, firmness and surface colour in tomatoes. 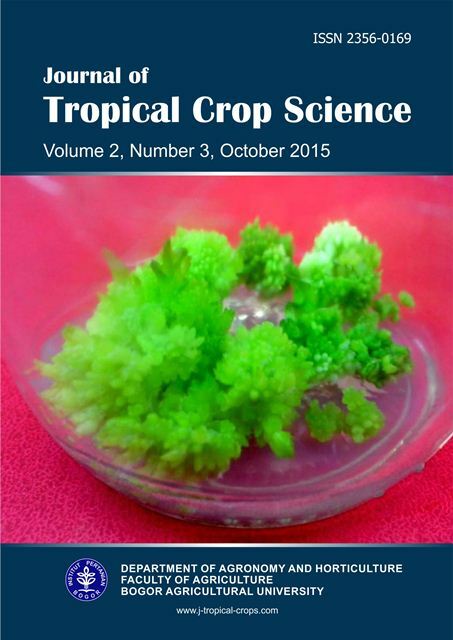 Journal Science of Food and Agriculture 33, 671-676. World Food Logistics Organization (WFLO) Grant Final Report. (2010). Identification of Appropriate Postharvest Technologies for Improving Market Access and Incomes for Small Horticultural Farmers in Sub-Saharan Africa and South Asia. Grant Number 52198.